Blisters & Brews is a 5k Fundraiser Race on the morning of Saturday, September 14, giving Festival patrons the opportunity to exercise before the Festival. Presented by BootDoctors™ Paragon Outdoors and the Telluride Blues Society, the 5k Race will raise money for the Telluride Adaptive Sports Program in remembrance of dear festival friend Felix Snow. Through registration fees, donations and the generous support of the Telluride community, we were honored to be able to raise over $1,500 for the Telluride Adaptive Ski Program in 2018. We're looking forward to another amazing year of support. 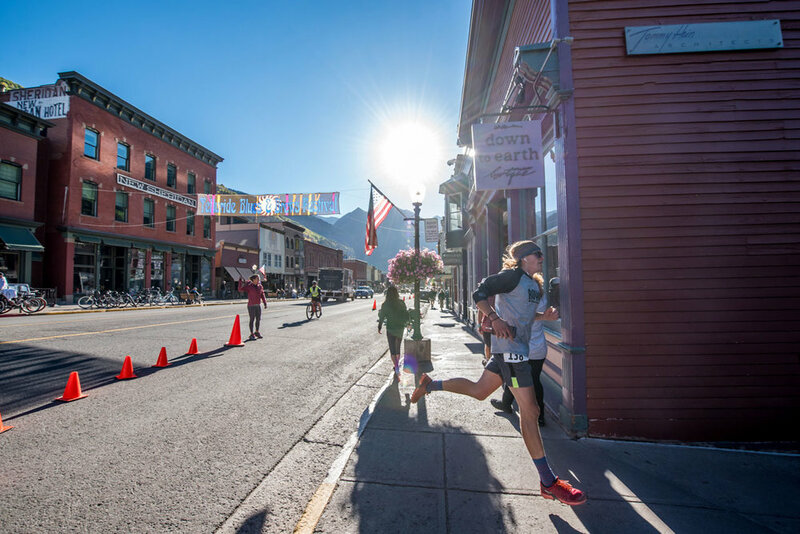 Beginning and ending in Telluride's Elks Park, Blisters & Brews provides runners with a safe, beautiful way to kick off their Saturday in downtown Telluride. 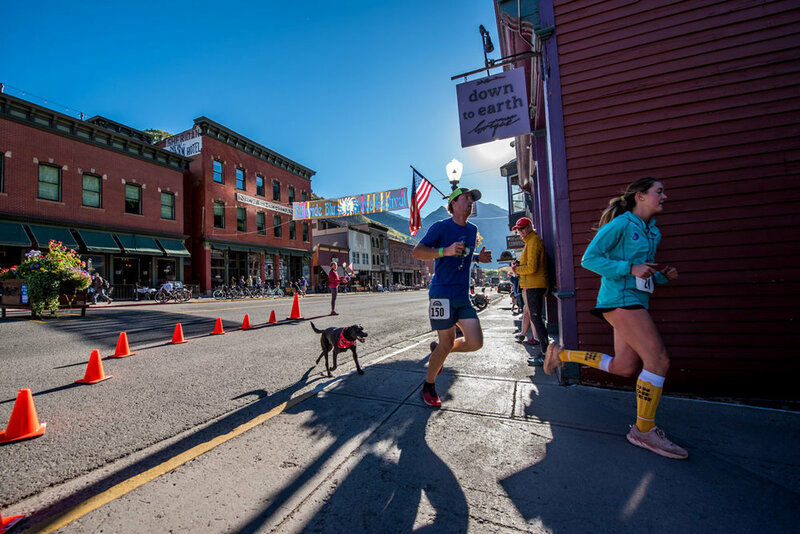 The route and start / finish area have been planned to enhance the running experience and highlight the beauty of the heart of Telluride. The race route climbs up the river trail giving racers the opportunity to take in the beauty of the Bridal Veil Falls on the way up and a gentle decline for the way back down to town and ending at Elks Park followed by live music, free beer and free Blues & Brews Yoga Sessions to bring the pre-Grand Tasting zen to a maximum. Race winners will receive a variety of gear and swag. The course begins in Elks Park and climbs up the bike path to Pandora Mine and returns along the same route. Racers will follow Colorado Avenue east and pick up the river trail, climbing to the Pandora mine. Racers will turn around and enjoy cruising down to the finish at Elks Park. Two aid stations will provide water electrolytes and snacks. Felix Snow’s life was lemonade. He had plenty of lemons – likely more than most of us could have handled. He lost the use of his legs after a car crash, but rather than bemoan the hand he was dealt, he faced his changed life with courage, humor, and passionate engagement. When he passed away in 2016, the Telluride community reeled with sorrow. Felix was a fixture at many of Telluride’s festivals and Blues and Brews was no different. He served with Festival Communications Director, Luci Reeve, who admired him for his intelligence and charisma. “Felix was such a people person. He helped people. He also kept people in line. You cannot argue with a man in a wheelchair.” Festival Director Steve Gumble calls Felix “larger than life,” and few would argue with that assessment. He was wicked smart, bitingly funny, and that voice! Oh, that voice. His resonant baritone got him work in voice acting, and when he laughed, the world laughed with him. Thank you for the generous support of our Blisters & Brews 5k Partners.